SEAD houses projects that combine educational technology use and social relevance. See the past projects below. 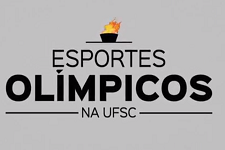 The Esportes Olímpicos na UFSC [Olympic Sports at UFSC] series broadcasted on TV UFSC and also made available online, aims at generating information and knowledge on the sports taking part in the Olympics and developed at UFSC. In addition to presenting the sports, these videos also bring information on the physical and professional structure provided by UFSC for the community to stimulate the practice of sports. UFSC Florianópolis Campus was one of the Rio 2016 Olympics’ athletics training and acclimatization camps. The interest raised by the presence of the athletes’ delegations at UFSC and the Olympics itself was also an opportunity to democratize such sports and attract the local community to engage in their practice. Not only is UFSC involved with professional athlete training, but it also develops university athletes, offering the necessary infrastructure to train elite athletes and improve their performance. The community in general also enjoys the practice of several sports and activities on campus due to the university’s outreach policy. Besides the individual benefits, sport plays an important sociocultural role and UFSC, as an educational institution, has the commitment to stimulate it within the community. As Nelson Mandela once said: “Sport has the power to change the world. It has the power to inspire. It has the power to unite people in a way that little else does. It speaks to youth in a language they understand.” Making this knowledge accessible is a way to contribute to the cultural and social development, a legacy also sought by organizing and hosting the Olympics in Brazil. Partners: SESP, PROEX, TV UFSC. Office hours: Monday to Friday, from 7 a.m. to 7 p.m.